When you work with a single point of contact, you get efficiency. 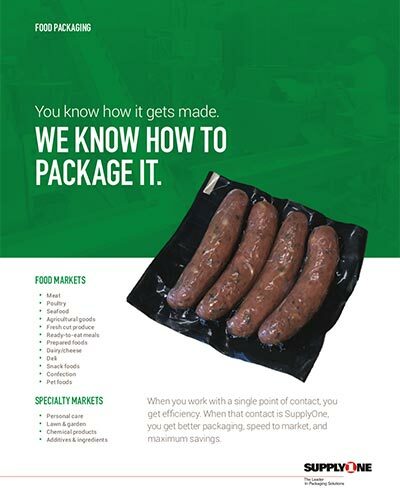 When that contact is SupplyOne, you get better packaging, speed to market, and maximum savings. 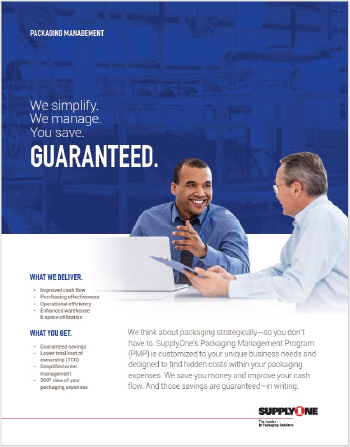 SupplyOne’s packaging experts work with your team to select the right combination of services, each one designed to increase efficiency, productivity, and cash flow. 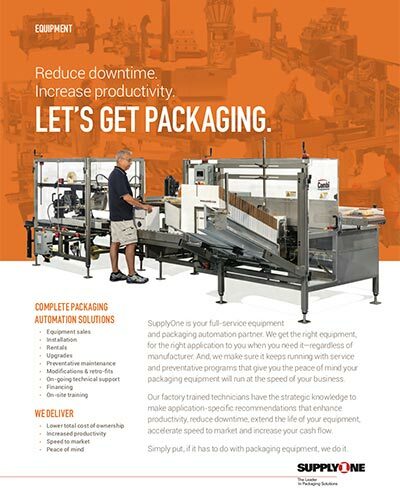 SupplyOne is your full-service equipment and packaging automation partner. We get the right equipment, for the right application to you when you need it—regardless of manufacturer. 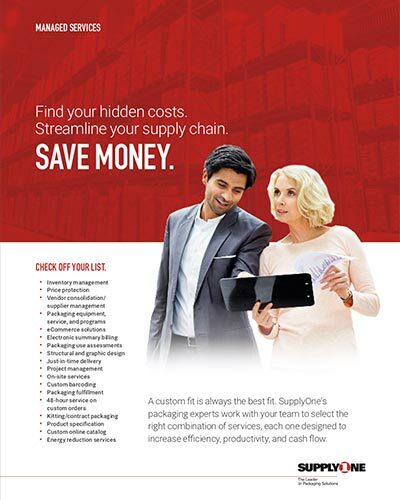 SupplyOne’s Packaging Management Program (PMP) is customized to your unique business needs and designed to find hidden costs within your packaging expenses.